With this Edison Chen-designed ice cream sandwich power bank, you can make sure your phone is always charging in style. Do you love ice cream sandwiches? Does your phone always die when you’re out eating ice cream sandwiches? Us too. 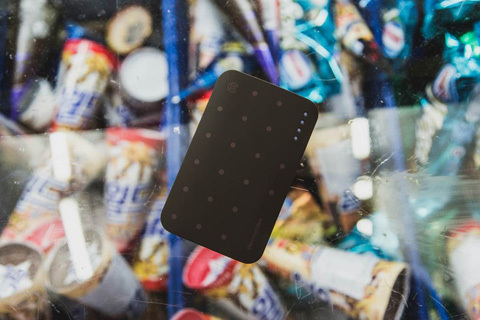 You need this: a limited-edition “Ice Cream Sandwich” Power Bank, designed by Edison Chen and Hong Kong-based mobile accessories maker The Coop Idea for clothing brand CLOT‘s 10th anniversary. The cool and creamy gadget features a brown-dotted, rubber exterior with white sides for a real ice cream sandwich look. It comes “equipped with an EU-approved, high capacity 9000mAh rechargeable battery by Samsung that has been proven to fully recharge any phone for up to three cycles,” according to Hypebeast. Plus, it features two outputs (1A and 2.4A) to provide multiple recharges at the same time. The ice cream power bank is available for HK $499.00 ($65) on The Coop Idea’s webstore. 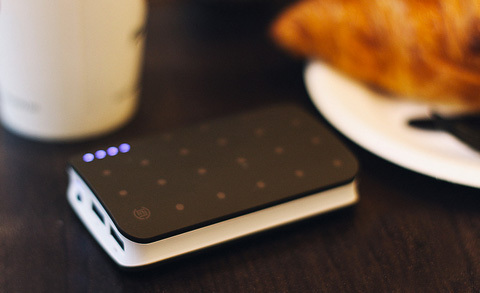 OR, if you purchase $2,000 HKD or more at any JUICE stores, you’ll receive the nifty gadget gratis.